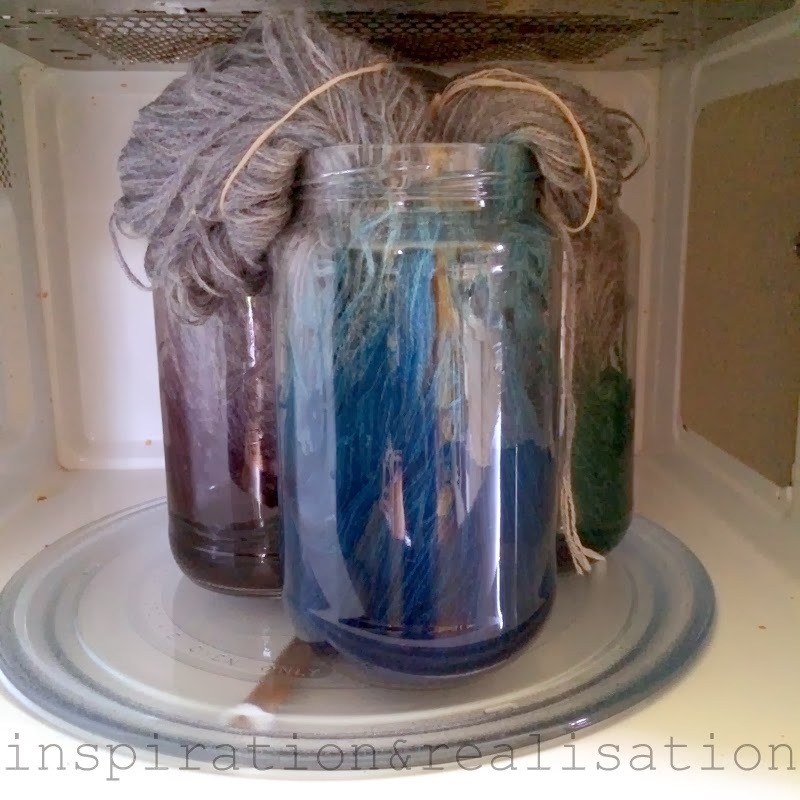 My first, second and probably last attempt at dye my own yarn! 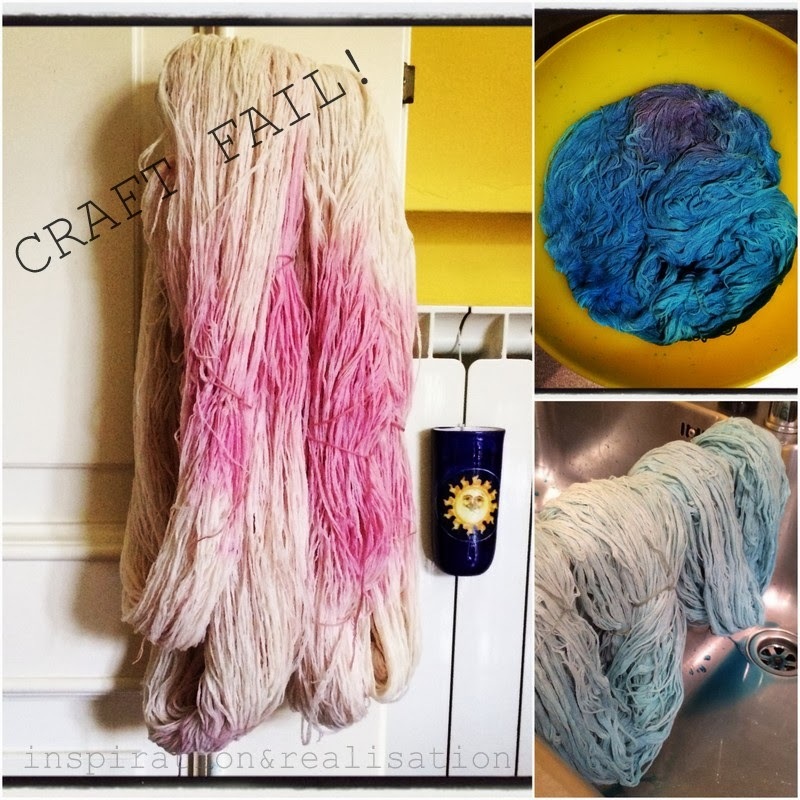 I saw all the pretty colorful yarn dyed with food coloring and I wanted to give it a try. In Italy, lots of these brands aren't available, and I wanted to make my yarn exactly that day, without waiting for an amazon delivery... So a trip to the supermarket later, I started to get busy (and quite messy). My local supermarket carries only one brand, and only four colors... so I had to try and make it work with what I had. 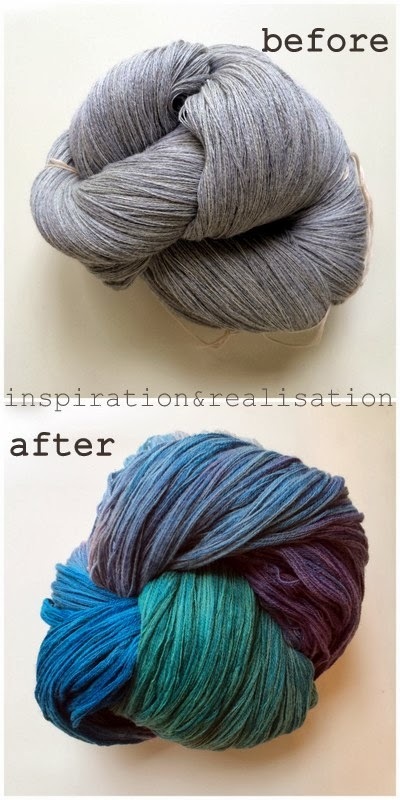 Inspiration comes from the wonderful yarn I saw on Filipbrat FB page. One thing to remember: things won't go according to plans! This is what I was aiming for: and this is what happened. 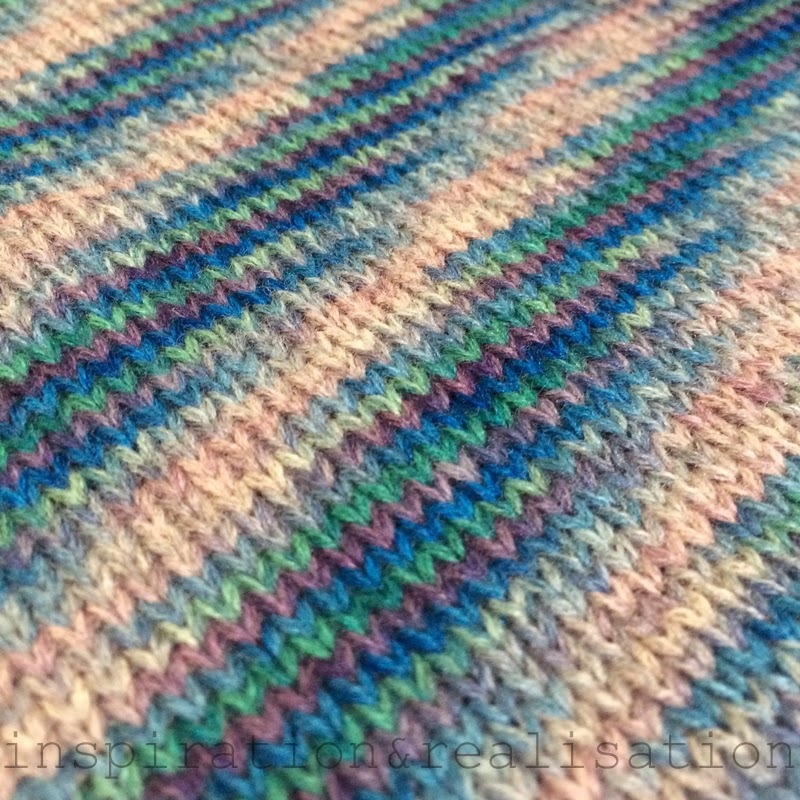 A closeup of the swatch made with my DIY yarn! In the end, I was happy with the result, even if it is quite different from what I was looking for! I started with a skein of light grey 4 ply merino wool. preparation of the colors: I used: blue, red and green. I added a splash of blue to the red and green to get the purple and the teal shades. 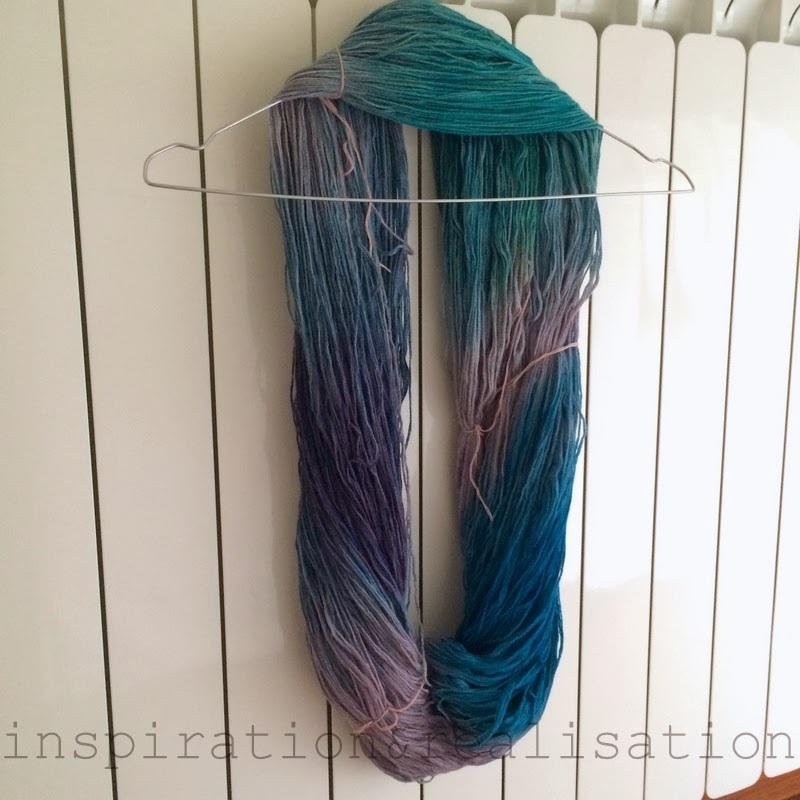 The skein took about two days to dry. I speeded up the process by hang onto the radiator for the last 5-6 hours. 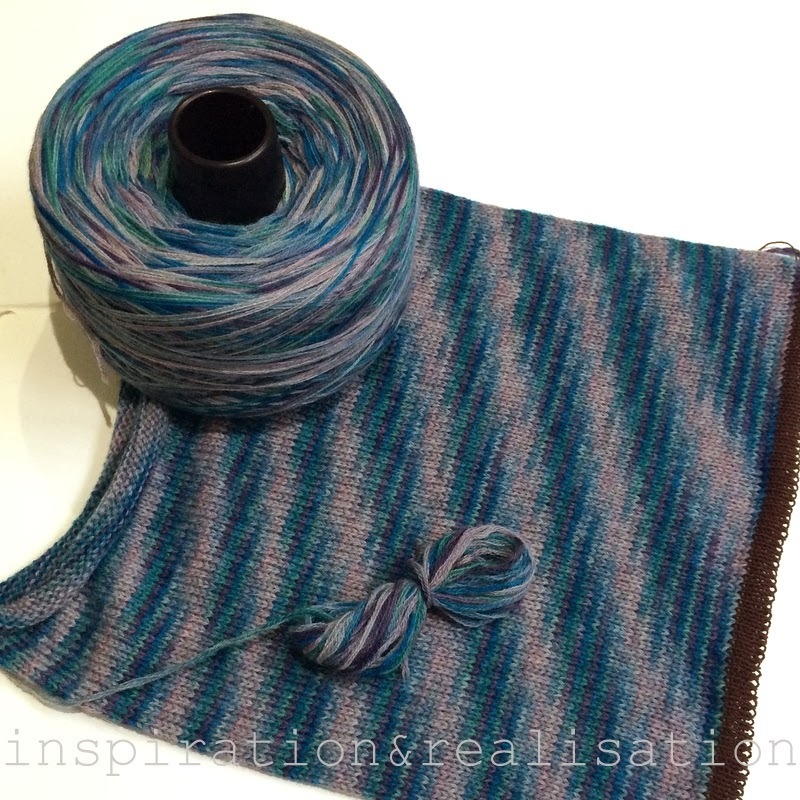 This is how it looks once rolled on the cone and knitted! But I will most likely not doing it again! Why? Between colors, time, and a high chance of not getting what you're looking for, this project is a bit on the expensive side. Not to mention that best results will happen while working with a small skein, rather than what I did: I had a thick 400 grams (almost a pound) skein to be able to complete a sweater. Before that, I tried with some white yarn. This yarn was given to me by the lady that sold me the knitting machine. It a huge cone, and I didin't know the composition. I followed the tutorial from artherapy ... and this is what happened. and all I got was a spotty dirty-white and pink yarn. Pink isn't really my thing!